If you or someone you know is charged with a drink driving offence. 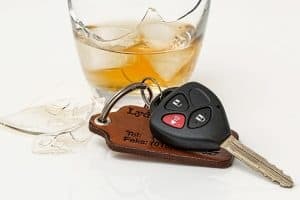 It is common to ask yourself: “what does this offence mean and what are the consequences?” The criminal law experts at George Sten & Co have drink driving lawyers that know the answers. Visit our offices in Sydney’s CBD, or call us on 9261 8640 or our 24 hour line 0412 423 569 to get fast and correct legal advice. For over 50 years, George Sten & Co believe every person is entitled to the highest quality legal defence in drink driving offences. A driving offence could mean loss of licence, loss of job and even loss of freedom. Our lawyers have exceptional court skills, and a driving principle to obtain the best results for clients and the best defence possible. Issues about blood alcohol level analysis and time of intoxication are delicate areas majorly impacting driving offences. It is highly advisable to seek legal counsel before making any statement to police and/or after you have been charged. This is vital in cases involving death, grievous bodily harm and imprisonment. Call George Sten & Co on 9261 8640 or 0412 423 569.